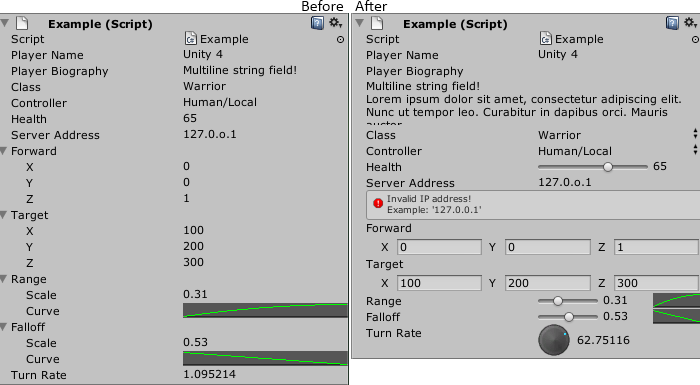 Another great feature that will come with Unity 4 is the property attributes/drawers. By adding specific attributes on your component fields, you can use custom property drawers in the inspector. Look at the image above to see an example of what you can achieve with this system. Use can even use it on “Serializable” classes.